Bay fishing in Destin has been consistently good for us so far this year. As summer begins, we are getting good numbers of speckled trout and redfish using both artificial lures and live bait. 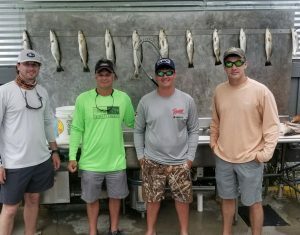 We have been using a few different types of baitfish for Destin bay fishing recently. 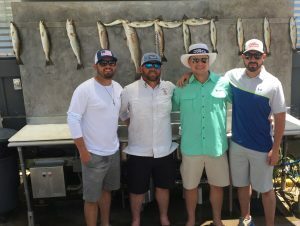 Pogies and greenies have been the easiest to catch, but when available we are also using finger mullet, croakers, and pinfish; all of which have been producing the bigger speckled trout on the flats. Destin bay fishing with artificial lures has been producing some good fish as well. While topwater lures and other hard plastic baits have been catching a few, the best lure recently has been the classic jig head with a soft plastic. We have been using 1/4 oz bass assassin jighwads with Mirrolure soft plastics in a number of different colors. Summer is in full swing right now and we are looking forward to another good year of putting people on the fish while they are on their Destin vacation. 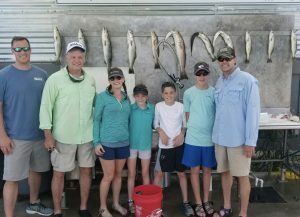 There is nothing like some good Destin bay fishing to complete a family vacation!